Beautiful Paua Shell is crafted into earrings or pendants. The earrings are 5/8" an can be made with a post back or French wire. The pendant is 3/4 inches and both earrings and pendant are made in sterling silver. Oh, I almost forgot to add that these gorgeous shells are available in blue, green or red. 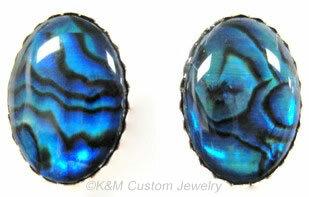 Buy Paua Shell Jewelry at KMC Jewelers. 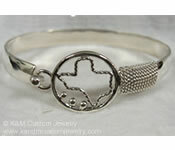 And tell 'em Truly Texan sent you!